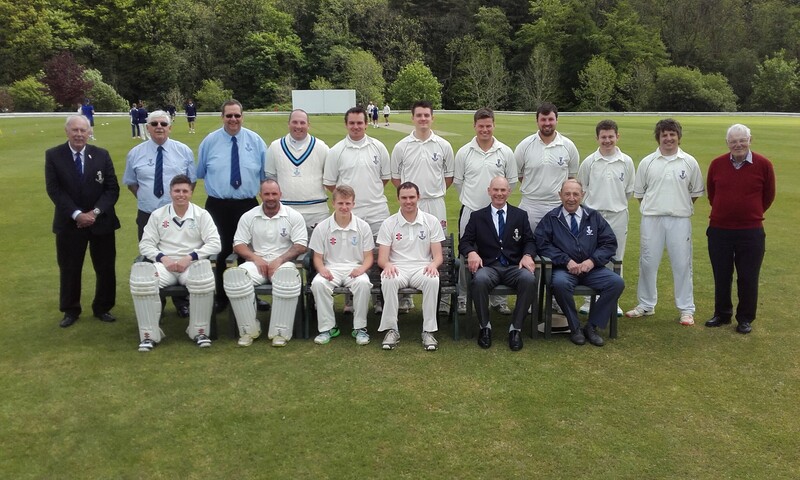 The Senior County Team and Officials v South Wales League. South Wales won the toss and batted first, on a perfect pitch for batting and after losing an early wicket at 28 in the 6th over, O. Binding and S. Davies put on 131 for the 2nd wicket, until binding was out in the 25th over, scoring 77 with (16, fours). S. Davies soon followed with the score on 176 with a score of 66(13 fours). R. Owen and J. Garland took the score to 228. In the 40th over R. Owen 42 (6 fours) was given out. S. Jones joined J. Garland in a 56, 6th wicket partnership in 4 overs with R. Owen 53 with (4 sixes and 5 fours) with a final score of 290 for 6 wickets in their 45 overs. 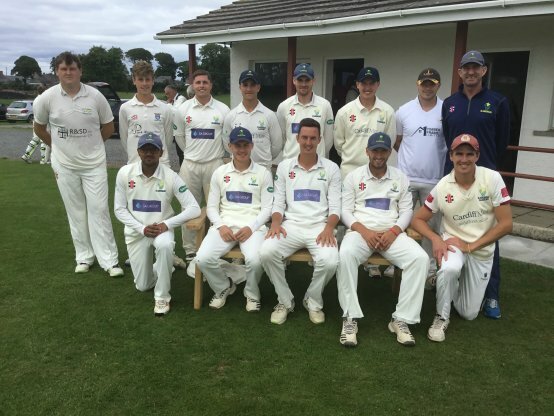 Pembroke County Cricket Club bowlers stuck to their task with spinners Simon Holliday (Haverfordwest) 9 overs 1 for 45 and Gareth Davies (Llanrhain) 9 overs 1 of 47. Nathen Banner (Neyland) picked up 3 for 56 off 7 overs. 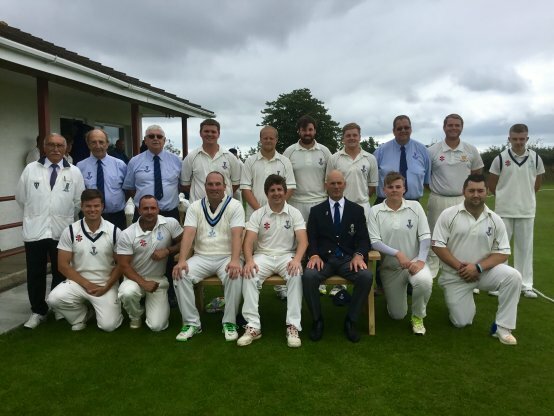 The Pembroke County Cricket Club openers captain Greg Miller, Captain, (Neyland) and Simon Holliday (Haverfordwest), soon got into their stride with an opening stand of 44 off 7 overs Miller was 1st to go with 23 (5 fours) and Holliday went soon after with 28 (6 fours). a 4th wicket stand of 67 by Marc Hughes (Narbeth) and Danny Potter (Haverfordwest) took the score to 127 in 21 overs, before Potter was caught on the boundary for 39 (7 fours). Rhys Davies (Carew) scored a quick fire 32 (3 fours and 1 six) with Hughes putting on 65 for the 6th wicket. With 13 overs left Pembroke County Cricket Club needed 88 runs to win and with Hughes holding the innings together and cameo innings by Henry Durrant (Neyland) 25 and Dan James (Whitland) 15, left the County Club needing 10 to win of the last over and then six to win off 3 balls, Dan James was caught on the boundary to a brilliant one handed catch. Then with 6 runs to win with 2 balls left Sean Hannon (Neyland) came in at no. 11 and hit the last 2 balls for 4 to leave Mark Hughes on 97 not out, a truly fantastic innings by the Narberth man who fully deserved a century. 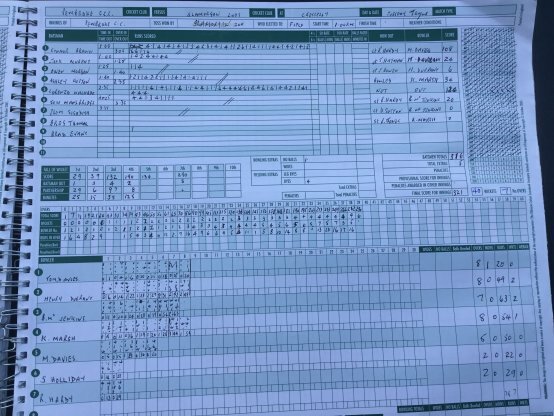 He hit 7 fours and faced 90 balls, it was it was a top effort by County Club to chase down such a large total. 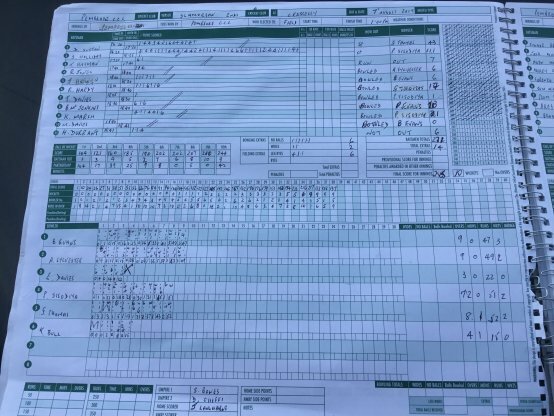 All the South Wales bowlers found it hard going with only Josh Bradshaw 2 for 50 off 9 overs troubling the Pembroke County Cricket Club batsmen. The ground staff at Pembroke Dock must be congratulated on their efforts for providing an excellent wicket and outfield, the ground looked a picture. The game was well umpired by Alan Hanson (Neyland) and John Williams (Hundelton), with Kirsty Hannon (Neyland) scoring for Pembrokeshire. 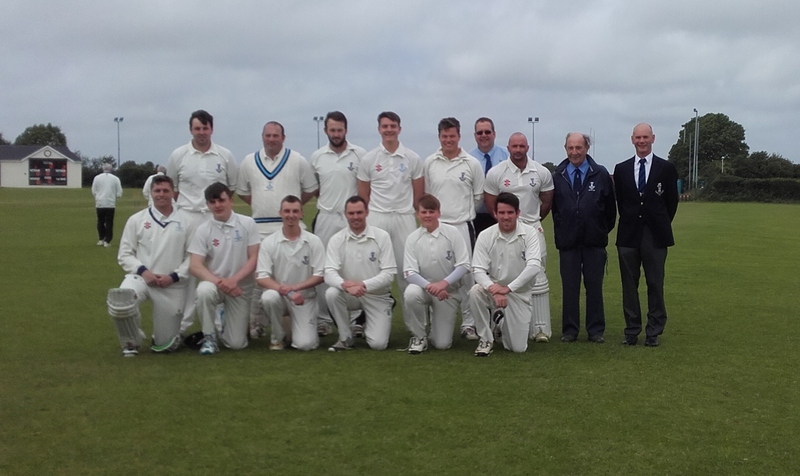 The next senior county game is on the 17th August v South Wales cricket Association at Llandyssul Cricket Club. Sean Hannon (wk) (Neyland), Simon Holliday (Haverfordwest), Ben Field (Haverfordwest), Greg Miller (Neyland), Danny Potter (Haverfordwest), Marc Hughes (Narberth), Rhys Davies (Carew), Nathan Banner (Neyland), Henry Durant(Neyland), Dan James (Whitland), Gareth Davies (Llanrhian).